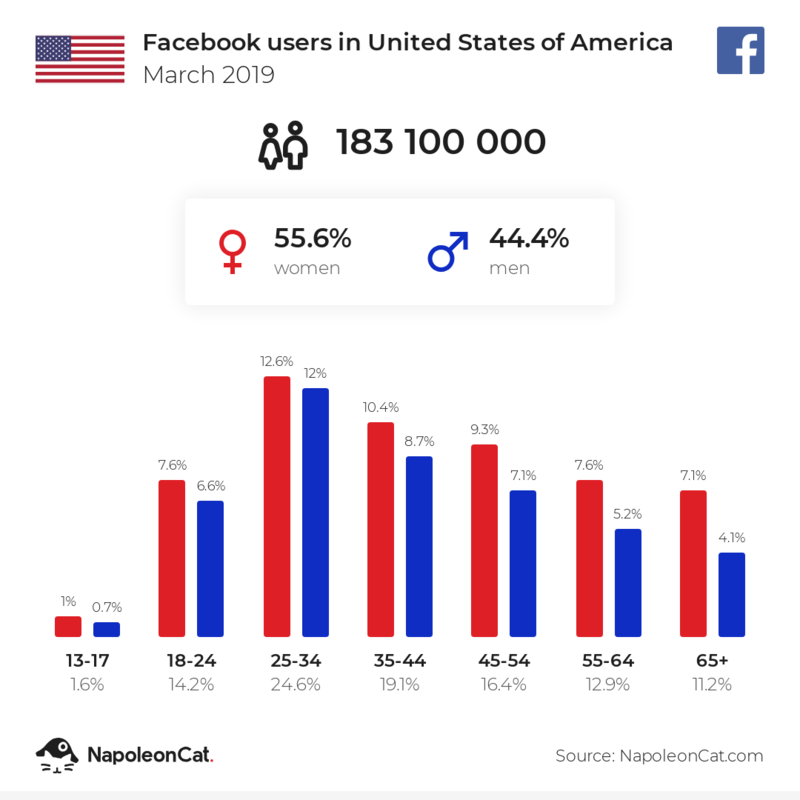 There were 183 100 000 Facebook users in United States of America in March 2019, which accounted for 55.7% of its entire population. The majority of them were women - 55.6%. People aged 25 to 34 were the largest user group (45 000 000). The highest difference between men and women occurs within people aged 65 and above, where women lead by 5 500 000.